It’s only been around a week since I first heard about these figures, and now I have them in my hands. As I mentioned before, it seems that these have not yet even been officially announced, and it may be that they aren’t supposed to be in stores yet, since they don’t work in the app yet. In the thread where I first heard about them, a poster who found them in a store indicated that Hasbro was “extremely concerned” about how the figures had gotten into his hands and was conducting some kind of investigation. But the fact that they later put them up on eBay makes we wonder if they weren’t just trying to drum up interest. In any case, a number of these have cropped up on eBay from various parts of the country since then, so it seems that they are making their way into retail. Luckily, I didn’t have to pay much of a premium to get them, although some sellers have been asking very inflated prices. 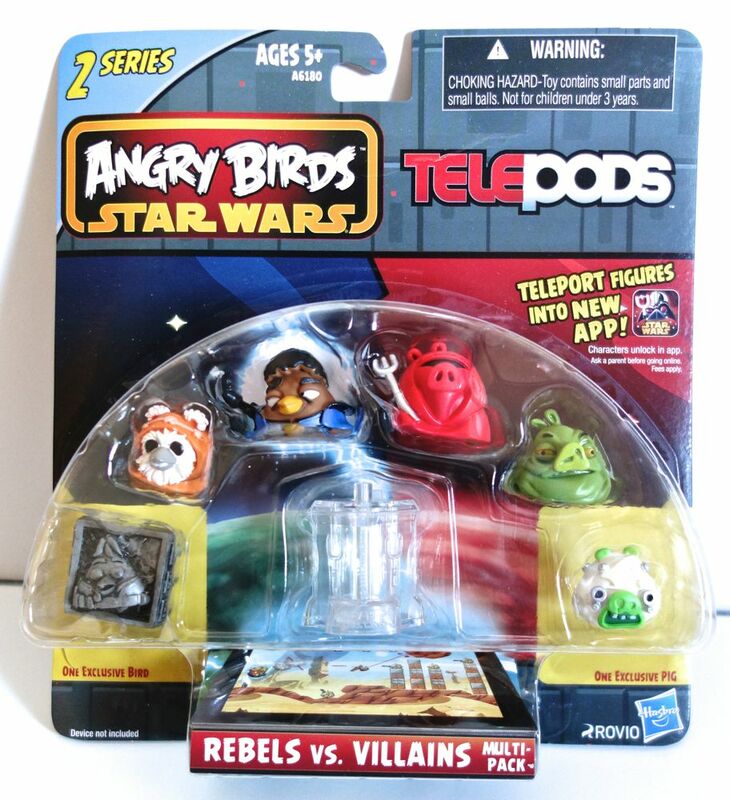 This pack consists entirely of original trilogy characters, which I like a lot. 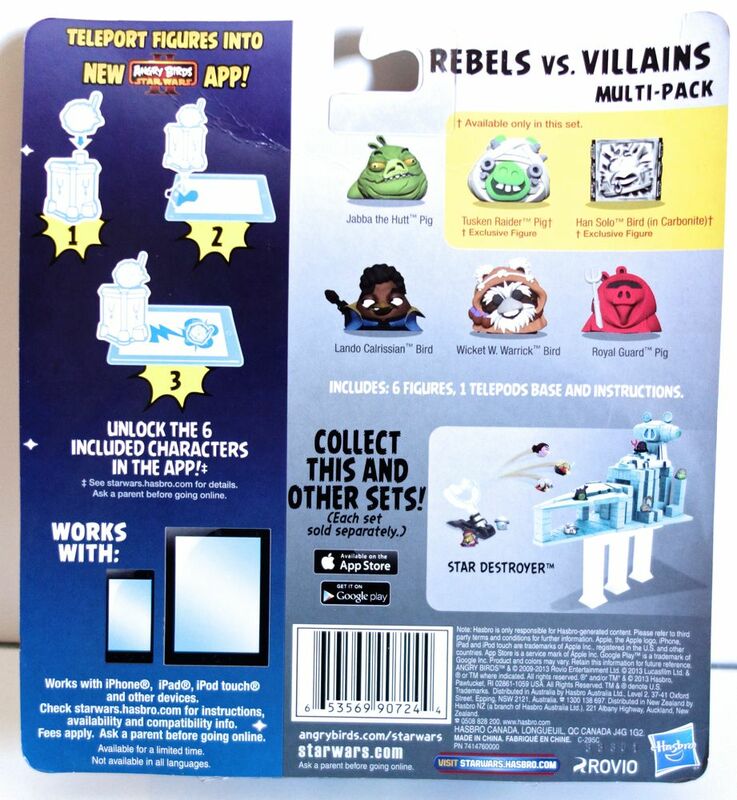 But of course the main reason I’m interested is that they’ve included new Jabba and Han in Carbonite figures. 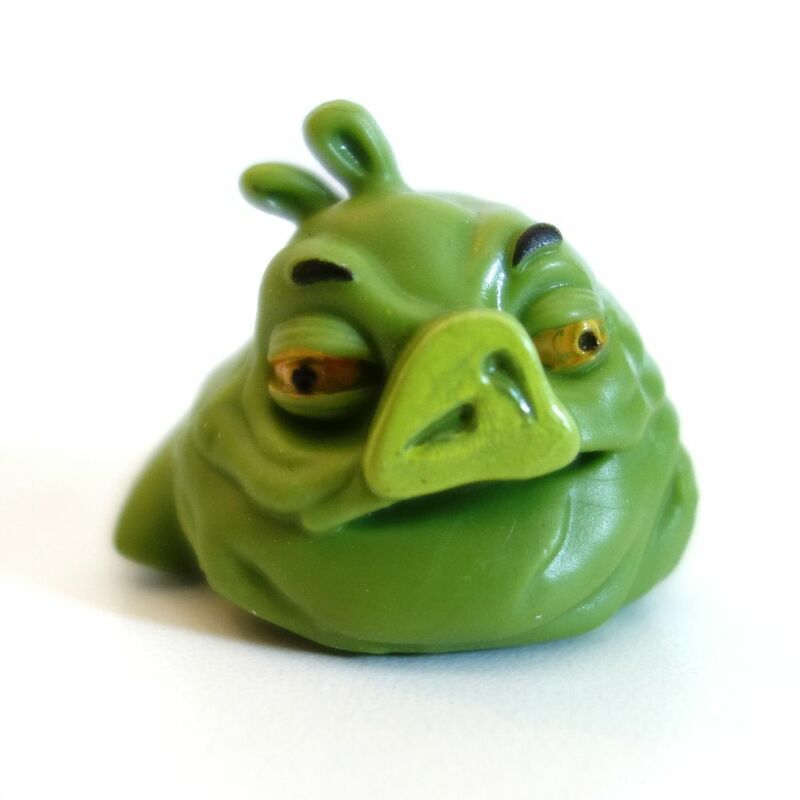 The Jabba the Hutt pig figure is a completely new sculpt from what we saw in previous sets (see here and here). 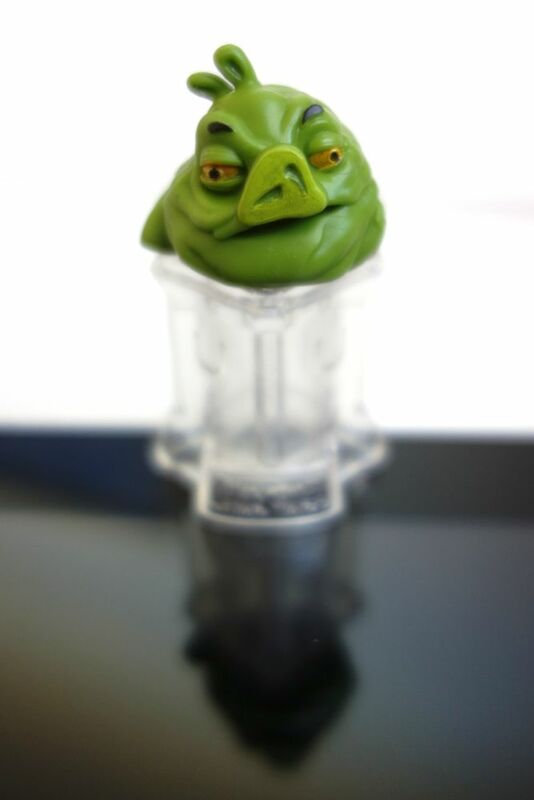 I think it’s a cuter design and a bit more Jabba-like than the previous one, due to the tail that extends to the side. There is also more paint on the new one (although not a huge amount more). 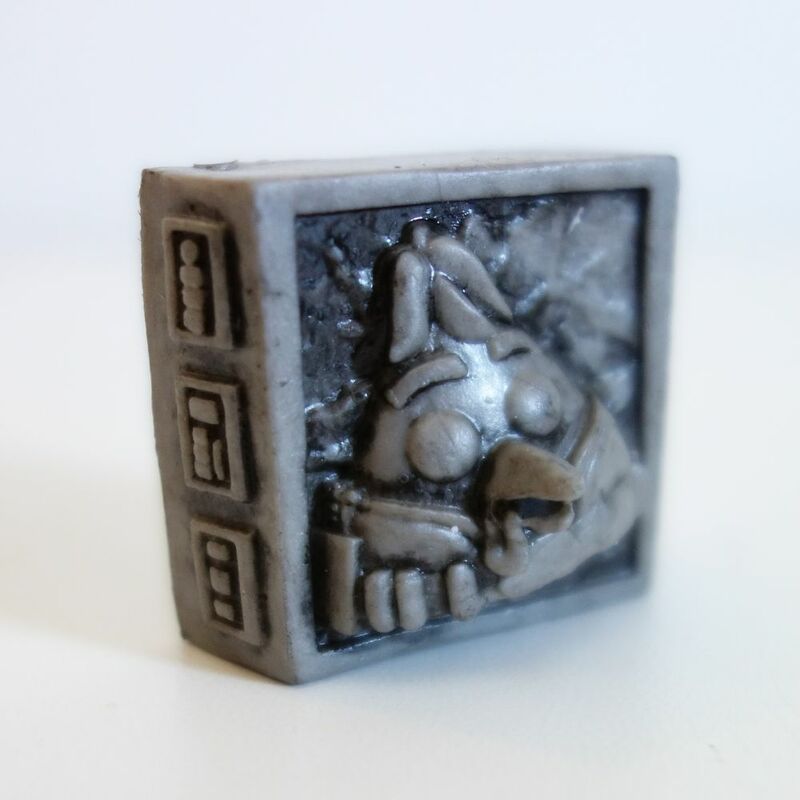 The Han in Carbonite bird is also a new sculpt, and this time it’s actually been painted, which helps the look considerably. 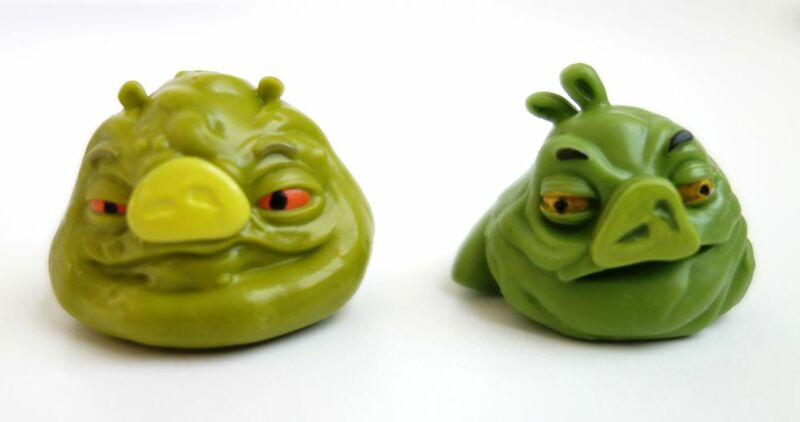 These are Telepods figures, which means that they have little codes on their bottoms that allow you to activate the associated characters in the game. If they’re like the previous ones we’ve had, these characters will still be available to you even if you don’t have the figures, but having the figures lets you use them more, and in levels where they might not ordinarily appear. When I first heard about this concept, I couldn’t figure out how the figures were actually scanned by your device, since they don’t include any kind of reader, like those used for games like Skylanders. Their solution is really quite clever. 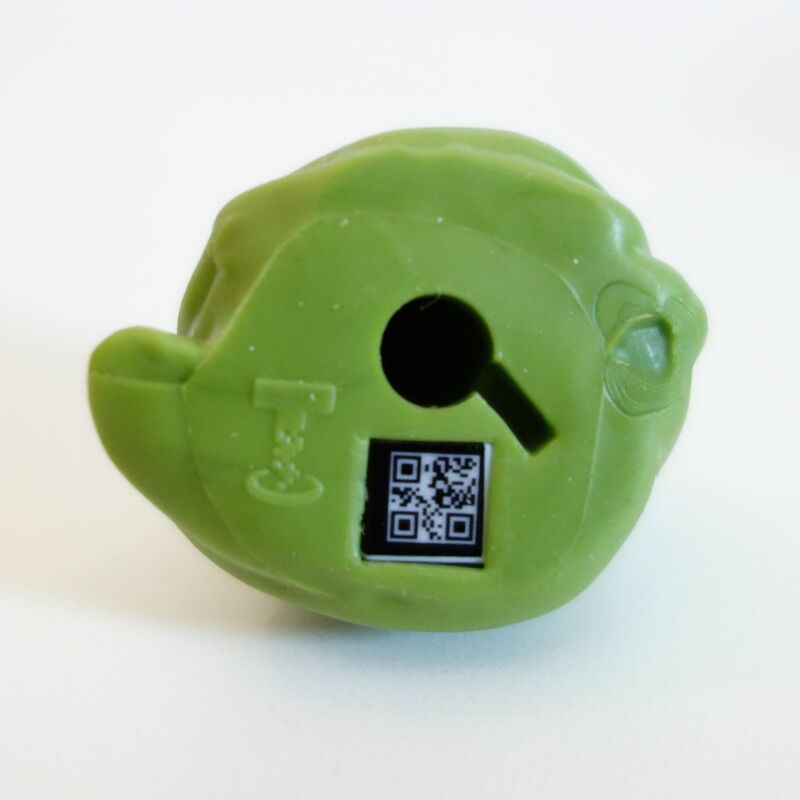 The codes on the bottom of the figures are read by the device’s camera. 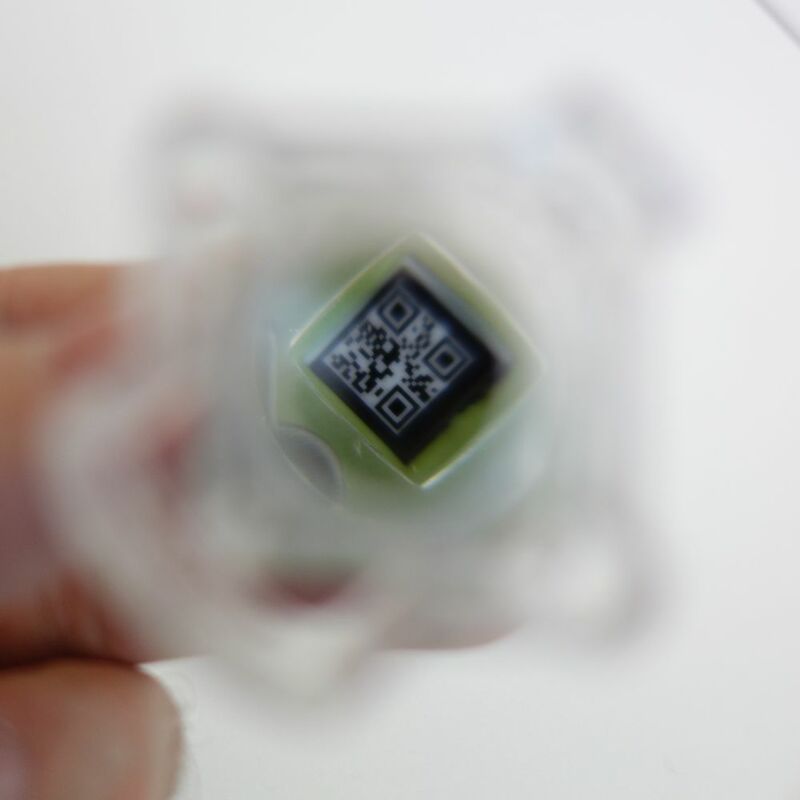 To scan a figure, you have to place it the included plastic stand, which has a lens in it. Presumably just placing it over the lens naked wouldn’t work, as the camera can’t focus that closely, and the light would also be blocked by the figure itself. 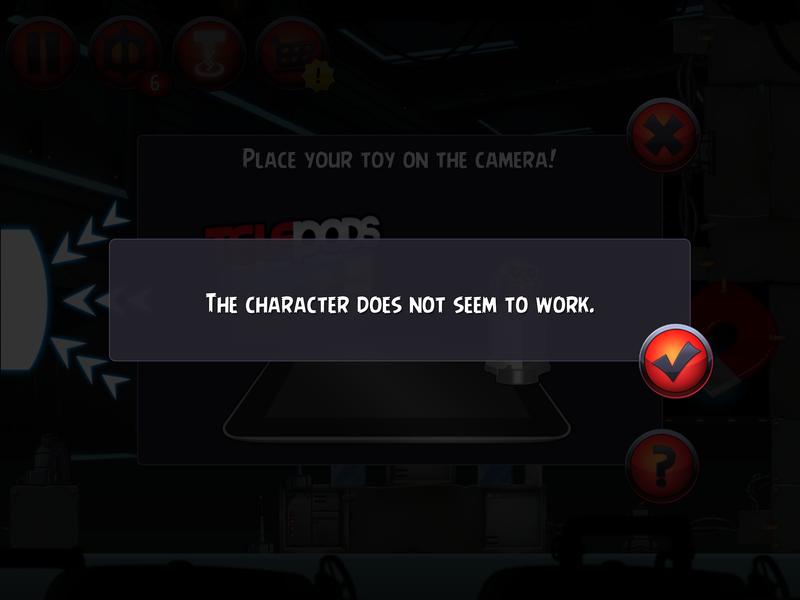 The process is surprisingly quick, though, only taking a couple of seconds to register the character you’re scanning. As I mentioned before, these figures do not yet work in the game (see below) — presumably they will be added in a future update. I will post when this happens, as I’m very interested to see what kinds of attacks Jabba and Han in Carbonite might have. Does anyone know when these will be ‘officially’ on the shelves? My kids are driving me bananas for them!!! I think they are available now, but only in certain areas. I have yet to see any in local stores here, but there is certainly no shortage of them on eBay. Thanks for the info about this set not working with the older versions of the app. My son bought this pack for himself (saved up for it!) and was so disappointed when they didn’t work! We found no explanation on the official website to help us out. Your post was the only saving grace! Now after an app update, my son is excited teleporting his new pack into the game. Thank you!